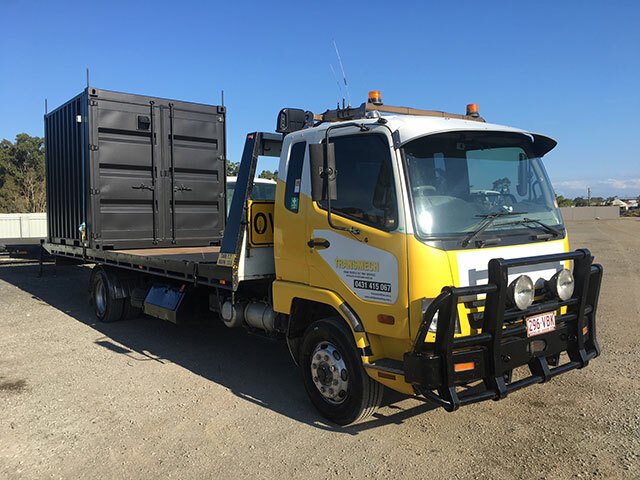 Transmech can handle all types of shipping container transport throughout Brisbane, South East Queensland and interstate relocations. We specialise in the handling and movement of shipping containers. Our container transport services cover everything from empty and lightweight to full capacities up to 32 tonnes. Our team can provide cost-effective and logistically controlled handling for your 8, 10, 20 and 40-foot containers. 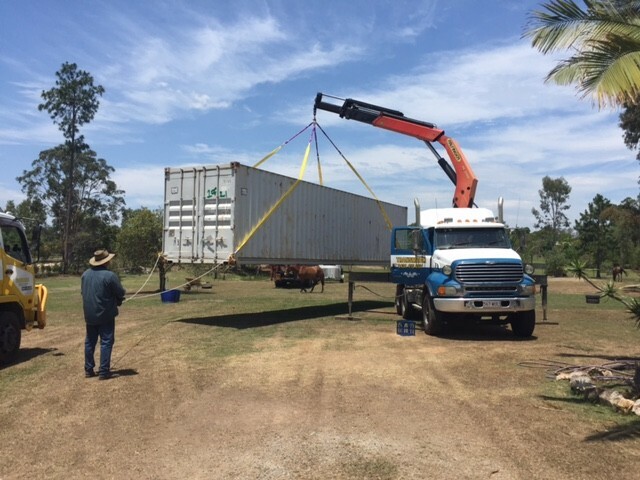 When organising your shipping container transport, you need to consider the size and weight of the container, the site that it needs to be picked up from and the site where the container needs to be delivered to. A Hiab is a truck that has a crane attached to it. They are adaptable vehicles, capable of pin point accuracy to deliver your cargo in difficult access areas. This delivery method is used when neither a tilt tray or side loader truck can access the site. Hiab delivery allows for containers to be delivered over obstructions such as up to 3m high fences. This service can be very useful particularly for Brisbane and inner city suburbs where you must negotiate the tight laneways and streets. 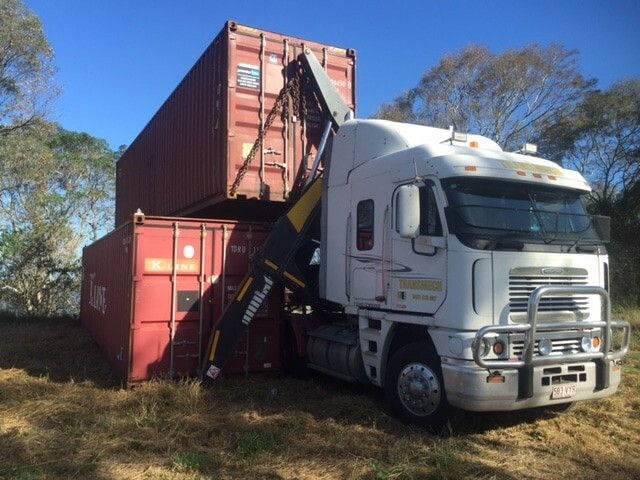 We pride ourselves on offering the best shipping container transport Brisbane has to offer. Contact Transmech for more information.